We hope you enjoy all the fun photos of our martial arts family/extended, and hope that you will return often too see updates. Most photos are thumbnail size, however, if you would like a closer look, just click on the pictures and most will enlarge. 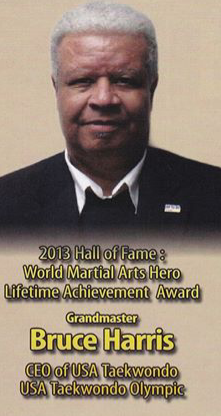 Congratulations Grandmaster Bruce Harris on your Martial Arts World Magazine International Hall of Fame Induction!!! Just received a copy of the magazine here in Akron, Ohio. 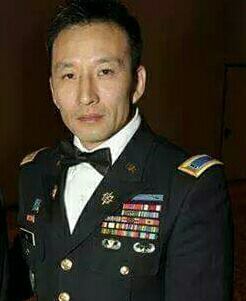 You where a great coach and taught me many valuable lessons in the years I was blessed to spend with you during my All-Army and Armed Forces Taekwondo team adventures. Love you coach, may God continue to bless you and yours. "THE PIONEERS OF THE ALL-ARMY & ARMED FORCES LEGACY"
BONGSEOK KIM, President of CISM Taekwondo, Technical Advisor of the Official TAEKWONDO HALL OF FAME® In addition to being a former champion and coach (All-Army and Armed Forces) he played a key role in the planning which led to the historic Official Taekwondo Hall of Fame ceremony being held at KUKKIWON World Taekwondo Headquarters in Seoul, Korea in 2011. Congratulations Master Kim! I miss you guys so much. These masters are in the list of the "BEST of the BEST", touched and influenced many lives as instructors/fathers to many martial artist all over the world, including myself. 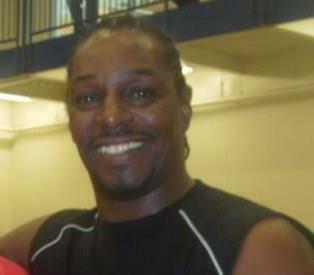 "Masters may you rest in heaven, and never be forgotten by all of your martial arts children who lives you touched." ... PLEASE VISIT OUR PAGE OFTEN, FOR THERE ARE MORE PHOTOS TO COME!